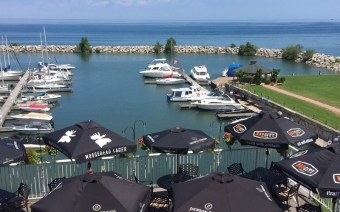 The Ramada Jordan Beacon Harbourside Hotel & Suites has 62 tastefully decorated guestrooms overlooking Lake Ontario with its breathtaking view of sunrise and sunset. 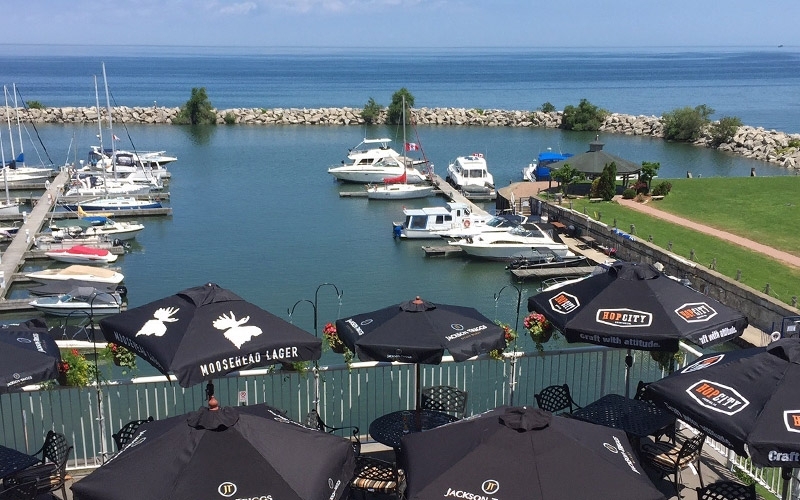 Our dining room, lounge, and outdoor patio have the same fabulous view of Lake Ontario and the Toronto skyline. The Hotel provides the perfect setting for your function with various banquet spaces, all overlooking the lake, providing us with the opportunity to create a most memorable occasion. We also offer our guests a full service marina, large indoor swimming pool and room service. Slightly less than an hour drive from Toronto and less than half an hour from Buffalo, the hotel is situated in the heart of Niagara. On arrival you will discover a multitude of activities in the surrounding area. Some of these activities include golf courses, wineries, festivals, bicycle trails and Casino Niagara. Without a doubt, The Ramada Jordan Beacon Harbourside Hotel & Suites is a wonderful property to visit and an excellent place to hold meetings, weddings and other special events. We look forward to welcoming you here!